A book is not a book without readers. I love to connect with young readers in person and via Skype. I am also available to speak at conferences and meetings. Please use the contact form to inquire about rates and availability. "I just want to say thank you again for the author presentation. All of the teachers loved it, and the students enjoyed it too." 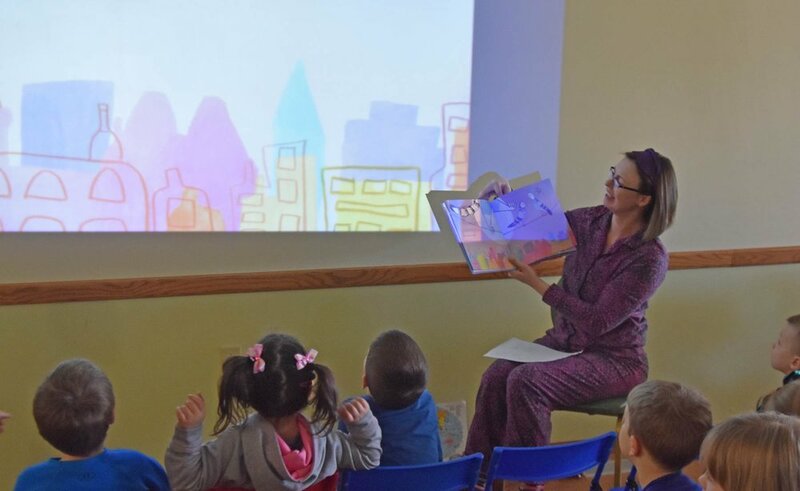 Pre-K story time hosted by Neighbor to Neighbor/the Sisters of St. Joseph in Concordia, Kansas. © Lindsay H. Metcalf 2019.